2. The fourth.....................War was of short duration and decisive and ended with Tipu’s death on May 4, 1799. 5. The Company was granted an English Royal Charter, under the name Governor and Company of Merchants of London Trading into the East Indies, by.....................On 31 December 1600. 6. Who were called "Kukas"? 7. Baba Ram Singh, born at Bhaini, in.....................district in 1816. 10. 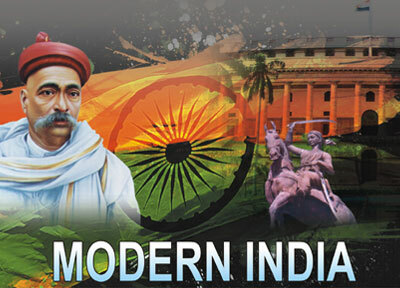 Jyotiba Phule was one of the prominent.....................of the 19th century India. 11. The Aligarh Institute Gazette, an organ of the Scientific Society was started in March.....................and succeeded in transforming the minds in the traditional Muslim Society. 13. Who founded as Mohammedan Anglo Oriental College (MAOC) at Aligarh in 1875? 15. The Wahabi Movement named after its founder Abdul Wahab originated in Arabia in the 18th century with a view to restoring Islam to its pristine purity and order. 16. The East India Association was founded by.....................in 1866. 17. Indian Association formed in.....................was one of the pioneer political associations with an all India outlook. 18. Prior to the Indian Association Sisir Kumar Ghosh along with Sambhu Charan Mukherjee founded.....................in Calcutta on 25 September 1875. 20. The first organisation in the Madras Presidency to agitate for the rights of Indians was the Madras Native Association which was established by publicist .....................Chetty in 1849. This organisation did not survive for long and was eventually disbanded.